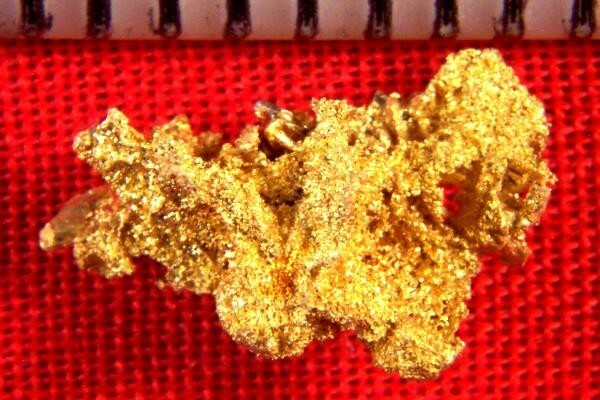 At just under 1/2" long, this gorgeous crystalline gold nugget from the famous 16 to 1 Mine in Alleghany, Sierra County, California has a lot of surface area for the weight. 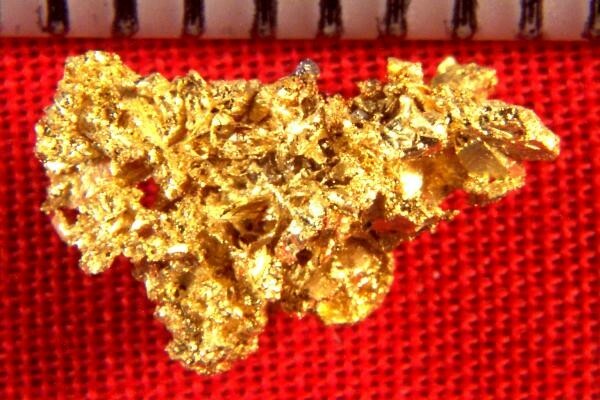 The weight of this beautiful gold specimen is 12.1 Grains (0.79 Gram). It has a beautiful crystalline structure and incredible color. It comes in a plastic gem jar for protection and display and it would look great in your gold nugget collection.